Obituary – Beasley, Harrison Dean « Perry High School Alumni Association, Inc.
﻿D.E. Club 48-50, Annual 49-50. Harrison “Dean” Beasley, 70 of Tulsa, passed away on September 11, 2003 in Tulsa. He was born October 26, 1932 in Perry, OK to Harrison and Lottie (Jirous) Beasley. 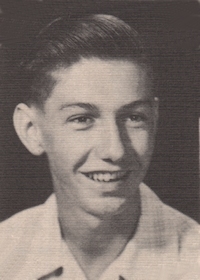 Dean graduated from Perry High School in 1950. He married Rozetta (Norman) Beasley on November 15, 1952 in Perry, OK. Dean served his country with the U.S. Army during the Korean War. He graduated from Oklahoma City University with an accounting degree. 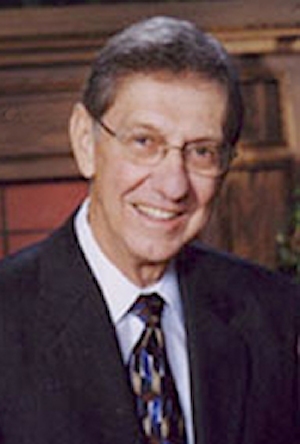 Dean worked for Amoco Oil Co. for 38 years, most recently as an auditor, before retiring. A funeral service will be held at 3:00 p.m. on Monday, September 15, 2003 at the Floral Haven Funeral Home Chapel in Broken Arrow, OK. Interment will follow at Floral Haven Memorial Gardens. Memorial contributions can be made to the American Cancer Society. Survived By: his wife: Rozetta; sons: John Harrison Beasley and wife Mary of Matthews, NC, David Allen Beasley and wife Jill of Plano, TX; grandchildren: Joann Beasley, Ben Beasley, Brent Beasley and Natalie Beasley. He is preceded in death by his parents, Harrison and Lottie Beasley; one brother, Arthur Beasley; and one sister, Dorothy Bohling.